BH: Tell us a little about yourself. ElephunksTrunk: My name is Celeste and I currently live in Somerville with my husband, our brand new baby boy (born June 5!) and our two cats. Before moving to Massachusetts last year, I lived in Atlanta where I was working on a PhD in Women's Studies. About half way through the program I realized I didn't want to be an academic, so I left graduate school and moved up north. I grew up in Ohio, so I feel more at home up here. I tend to be interested in everything, which is one reason I didn't finish the PhD—I can't stay focused on one project long enough! I have a BA in Anthropology and Religious Studies and an MA in South Asian Studies. I used to speak Bengali halfway decently but I fear I have now forgotten most of it. I like to play board games and think five miles is within reasonable walking distance. BH: How long have you been making hats? ElephunksTrunk: I started making hats about three years ago when I was preparing for my wedding. 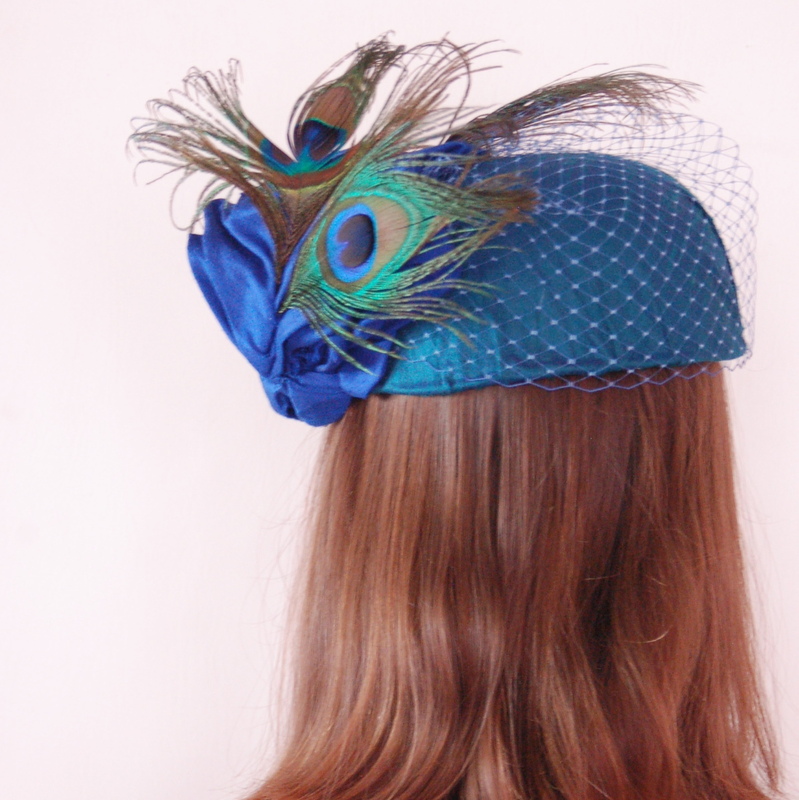 I wanted a crazy cocktail hat and I couldn't find one that seemed just right, so I decided to make my own. I consider it a natural outgrowth of the years I spent making crazy hats out of plaster for Halloween (I love costuming) combined with my ridiculously tiny head. Finding store bought hats that fit me has always been a challenge, so learning to make my own seemed to be the best answer. BH: Please describe your creative process. ElephunksTrunk: I'm not sure that I have one creative process. Sometimes I get all technical with graph paper and math to make patterns and sometimes I'm much more organic with my work—draping and pinning and making things up as I go along. To be honest, that is my favorite way to work, but it does make pieces difficult to replicate. I like making one of a kind pieces, but I also recognize the importance of having a more everyday wear kind of line. 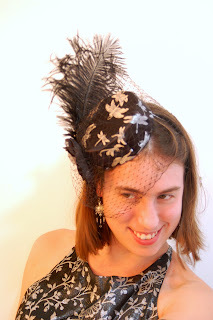 I love working with bright colors, outrageous feathers, and taking about old clothes to turn them into fun new hats. BH: Are there other mediums you are not working in that interest you? ElephunksTrunk: Pretty much all of them! I'm interested in just about everything, remember? I used to do a lot of drawing and painting, and I'd love to find the time to get back into that. Whenever I see something handmade, my first thought is “I bet I could learn how to do that!” which might be true if I had unlimited time and resources. I've toyed around with spinning yarn and would love to get a spinning wheel. I'd like to learn how to make pottery and how to make sterling silver jewelry. ElephunksTrunk: There are a million great reasons to buy handmade! For one thing, when you buy handmade you get something truly unique. Even when an artist makes multiples of an item or offers things in limited edition series, chances are none of your friends have one just like it. More importantly, buying handmade is one way to practice a more ethical consumerism—it cuts out the sweatshops, the waste inherent in factory production, and supports artists and crafts people making a living with their skills. Beautiful Hats! Nice interview. I enjoyed reading.